For over 20 years, PJ Jarvis and the Zydeco Crawdaddys have been bringing the music of Southern Louisiana to community concerts, Mardi Gras events, festivals, wineries, private parties, and anywhere people enjoy having fun. 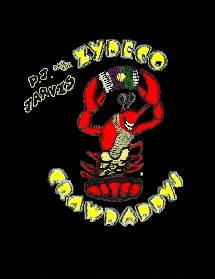 The Zydeco Crawdaddys play the French Creole music of Southern Louisiana using traditional Zydeco instruments such as the accordian and washboard. Much of the Crawdaddy’s music originates from those musicians whose names are household items in Lafayette, Lake Charles, and New Orleans, Louisiana. The Crawdaddys play both the old style and the more contemporary style of Zydeco, evoking endless fun and dancing for fans of all ages.... and for many, it's their first time hearing Zydeco music!